An Extremely Low-Mintage Wartime Wheat Cent Now Available! 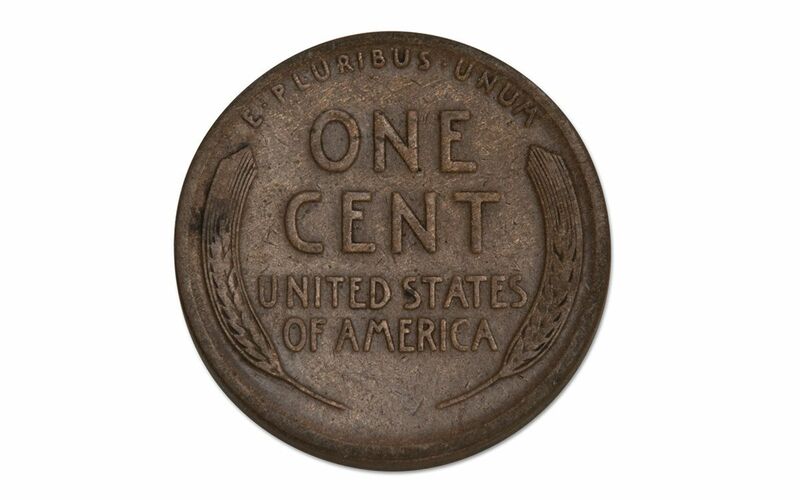 From 1909 to 1958, the Lincoln Wheat Cent became one of the most popular and highly-minted coins in U.S. history . . . but, not all years were equal during the lifetime of this series. In 1915, the second year of WWI, only 4.8 million Wheat Cents were struck at the San Francisco Mint, making the coin extremely scarce across all grades. 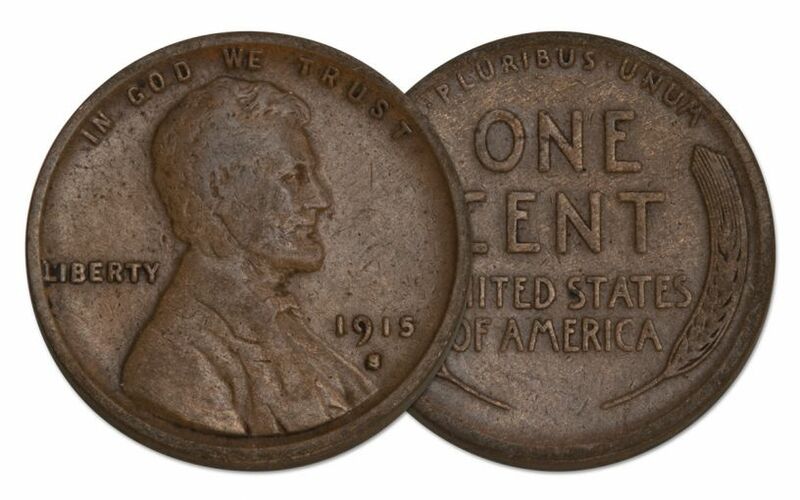 Getting a 1915 One Cent coin in any condition is remarkable, and now you can secure one in Fine condition when you collect through GovMint.com. The designer of the Wheat Cent was sculptor, engraver, and medalist Victor D. Brenner, chosen by President Theodore Roosevelt to craft a coin that would first be struck during the 100th anniversary year of President Abraham Lincoln's birthday. There was some controversy with the initial mintage of the coin, resulting in the removal of Brenner's initials for several years from the base of the reverse. Accordingly, your 1915 coin is free of the designer's initials. The design of this coin will catch your attention immediately. Comprised of copper-plated zinc, the Lincoln Wheat Cent features the beloved image of Lincoln facing right. The motto "IN GOD WE TRUST" in inscribed above his head, which marks the first time that motto was used on the U.S. cent. Your coin also includes the date "1915" and the word "LIBERTY" on its obverse. The mark "S" is prominently present as well, indicating that your coin was struck at the San Francisco Mint. The reverse of the coin is equally distinctive. Featuring the twin sheaves of wheat for which it is named, it's inscribed with "ONE CENT," "E PLURIBUS UNUM" and "UNITED STATES OF AMERICA." 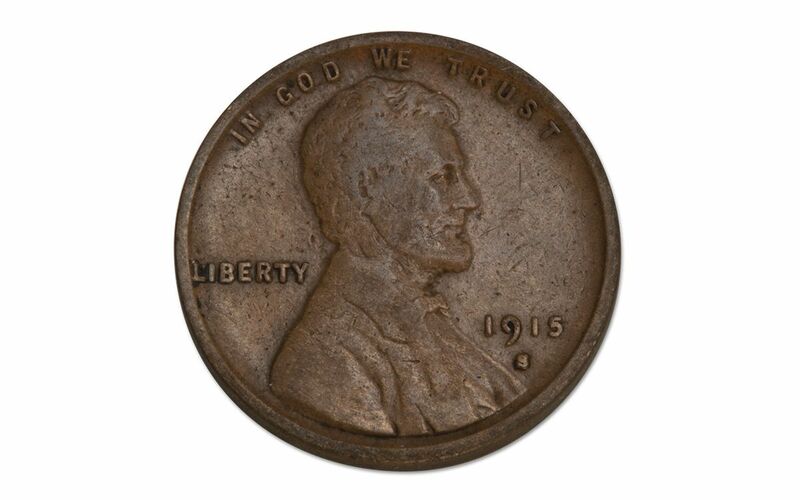 The year 1915 was more than a century ago, yet your 1915-S Lincoln Wheat Cent is in Fine (F) Condition despite a long and likely well-traveled life. With moderate to heavy even wear, the entire design of your coin remains clear and bold, a symbol of American strength that has endured through some of the most tumultuous decades in history. Even better, with its low-mintage year, it's a coin that remains highly sought-after, making it a natural addition to your collection - if you act fast. Quantities are limited, so contact GovMint.com today!